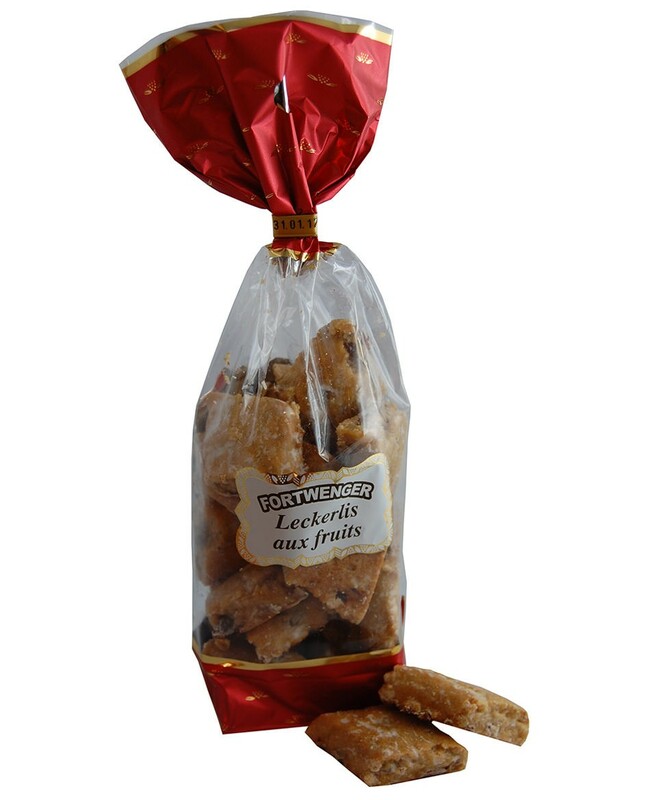 A tender gingerbread with subtle aromas of apricot, orange peel and ginger. 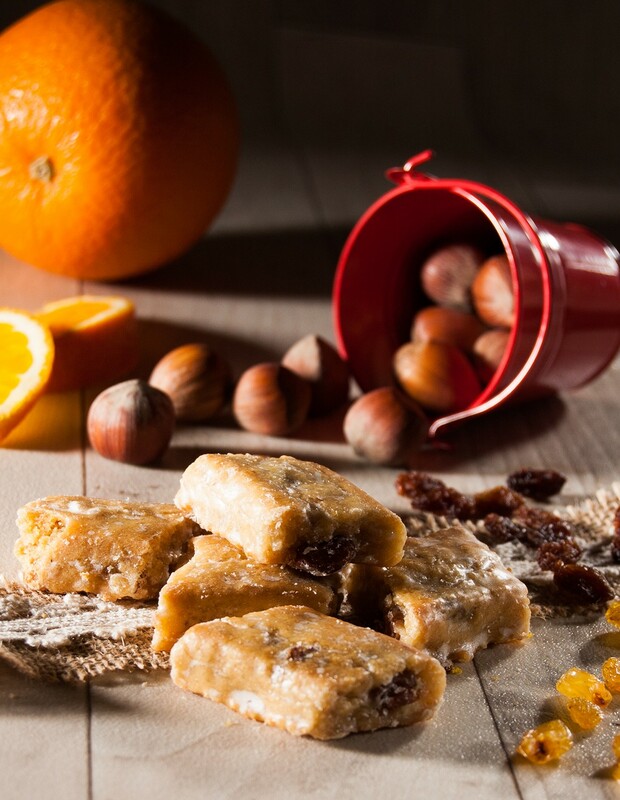 Sugar, wheat flour (gluten), 16% raisins, 13% persipan (apricot kernels, sugar, inverted sugar syrup), 6 % candied orange peel (orange peel, glucose-fructose syrup, sugar), 3% hazelnut, butyric fat (milk), powdered whole egg, humectant: sorbitols, glycerols ; icing sugar, potato starch, powdered raising agent: sodium hydrogen carbonate; natural flavourings, salt, spices, thickening agent: gum arabic. Gluten, hazelnut, milk, egg. May contain traces of other nut, peanut, lupin, sesame seed and soy.